This paper explores the possible policy and institutional changes affecting South Africa and the Southern African Development Community (SADC) more generally that could occur during the presidency of Donald Trump. The direction that the U.S. government is likely to take after the election of President Trump will force African governments to rethink how they address pressing socioeconomic problems and fund development programs. U.S. development assistance to Africa is likely to shrink. Certain African states that have depended on U.S. government funding for policy solutions and will now need to reconsider their approaches to the problem of low economic development. While President Trump’s administration may threaten certain long-funded U.S. programs, it also presents an opportunity for African States to (a) elevate a new, forward-thinking political elite and leadership (b) generate better economic development initiatives in South Africa; and (c) begin to implement concrete and measurable policies for regional economic integration in the SADC. Ultimately, President Trump’s election is unlikely to result in dramatic changes in U.S. foreign policy towards Africa. Instead, it is a new expression of a longstanding American tendency to prioritize internal American socioeconomic stability. Therefore, SADC states need not only reconsider their foreign policy approach to Trump, but they must also reexamine and address their own lack of direction in economic development and regional integration. President Trump’s election has elicited various reactions internationally and in the United States. It is worth clarifying what I mean by these reactions, precisely because they are so widely and loosely discussed. Firstly, some Americans are questioning whether phenomena such as globalization—especially in its commercial aspects, like trade—still benefit them as they once did.1 This population understands the terms “America First/Make America Great Again” to mean that the United States has seen its geopolitical and economic status compromised by trade dynamics and international capital (which increasingly finds the Asian continent a cheaper locality to do business in, for example). Although Trump’s voters are predominantly white, many of these “populist” economic ideas are popular with more diverse constituencies. The second group believes that despair and darkness is now the order of the day and finds it hard to believe that fellow U.S. citizens voted for President Trump and what he is perceived to represent. They see Trump’s election as a rejection of the belief in American liberalism, multiculturalism, and the commitment to multilateral institutions like the United Nations.2 This group is said to support what are often termed elite ideals of liberalism such as open borders and individual rights, and its members generally live in U.S. coastal megacities3. 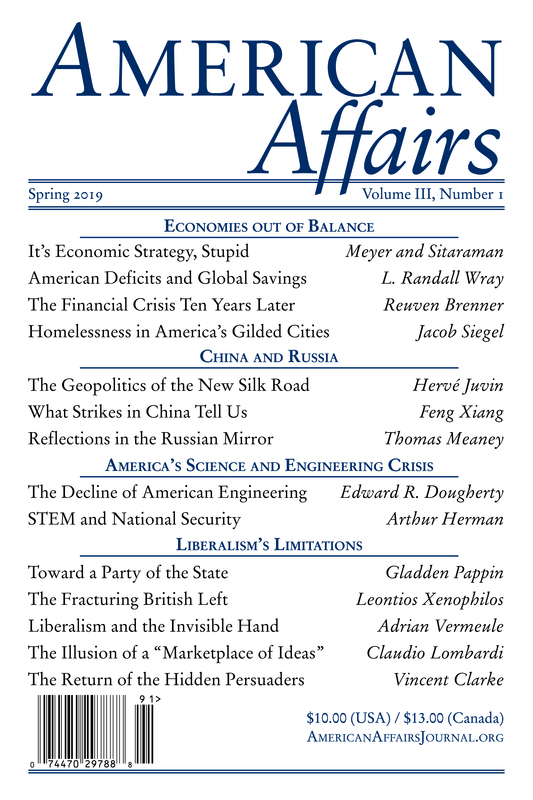 This paper is not primarily interested in which of these contending groups holds the moral high ground; it is simply important to note that President Trump’s ascendancy can be explained by America’s changing internal socioeconomic and political dynamics. Thus President Trump’s foreign policy—and perhaps the attitudes of a significant portion of the American public long after Trump leaves office—will be firmly grounded in the belief that America needs to primarily be concerned with its domestic problems and their solutions. This focus on local issues will probably produce a foreign policy towards African states that is different than that of previous American presidents. Evidence of this difference can be seen in the questions that Trump’s transition team submitted to the U.S. State Department concerning Africa.7 These questions are so far the only official insights into what the Trump administration might consider key points of interest for the continent. The State Department did not publicly respond, but two dominant ideas can be drawn from them: First, the questions displayed a focus on the efficacy of U.S. security and counter-terrorism strategies in Africa. Second, they showed a desire to understand the empirical results associated with the foreign aid and trade deals with the continent. The manner and style in which these questions were asked caused Alex Vines, head of the Africa Program at Chatham House, to contend that “Overall . . . a Trump administration will not view Africa as a foreign policy priority. This could work in the region’s favour. . . .”8 It is against this background that it is important to explore what “Make America Great Again” could mean for the continent of Africa and SADC. Many states are having to deal with the fact that globalization has allowed for companies and industries to amass great profits outside of their borders, as corporations shift production to places like China, India, Mexico, Brazil, and others. The evidence so far suggests that the Trump administration will seek to examine every agreement the U.S. government currently engages in. The following section now explores what President Trump’s policy might mean for the African continent, especially historical agreements like the African Growth and Opportunity Act (AGOA) and President’s Emergency Plan for AIDS Relief (PEPFAR). AGOA is likely to be questioned by the Trump administration and may be seen as a sunk cost. If the administration is willing to question core trade deals involving states like Canada and Mexico, it logically follows that arrangements like AGOA will be examined. AGOA has produced two principal benefits for participating states, according to the Office of the United States Trade Representative (USTR). First, AGOA-qualifying states have been prodded to diversify their business offerings beyond oil and petroleum products. Second, this diversification away from petroleum has allowed for light manufacturing to develop. However, a significant portion of this shift has occurred not through the development of domestic industry, but rather by enabling Asian manufacturers to use Africa to springboard their products into the United States. It is for this reason that non-oil exports from sub-Saharan Africa to the United States, through AGOA, grew from $1.4 billion in 2001 to $4.1 billion in 2015. The exports have come from diversified businesses producing autos and parts, apparel, agricultural products, footwear, and cut flowers. The major states leading this development have been AGOA-qualifying states like South Africa, Angola, Chad, Nigeria, and Kenya.11 Schneidman and Lewis explain that, “Transportation equipment imported under AGOA, mostly automobiles from South Africa, grew from $296 million in 2001 to $2.1 billion in 2011. This was due to the fact that auto manufacturers based more production in South Africa to take advantage of duty-free entry to the U.S. market.”12 This insight clearly illustrates the importance of the AGOA agreement for states like South Africa, but it also illuminates the opportunities that they have missed. At the same time, and regardless of whether AGOA is altered, African States need to adopt a more forward-looking approach that prioritizes domestic industrial development. They should use the model of Republic of Mauritius and focus more on developing local industry and encouraging existing industry to move up the value chain—rather than merely allowing foreign manufacturers to take advantage of trade concessions. As explained by Nikhil Treebhoohun and Ram Jutliah14 and the Word Bank Group,15 the Mauritius model uses AGOA to jump-start and stimulate the domestic economy and eventually to develop an economic model through its own highly efficient export-oriented institutions. It is important to note that Mauritius’s model has been able to grow that economy beyond the originally stipulated AGOA terms. Mauritius is now ready to expand into new trade areas.16 If African States remain with AGOA, they need to plan which strategic sectors they are going to prioritize, how to support them, and how to eventually grow beyond AGOA. African states cannot view AGOA as a final instrument for their export-oriented industries, as most of them do at present. Governments need to embrace better planning and implementing institutions moving forward. PEPFAR, like AGOA, may also be questioned by the Trump administration. Furthermore, unlike AGOA, which can be argued to add value to the U.S. economy, PEPFAR is an aid activity whose funding can easily be rerouted back to America’s own health system. It needs to be noted that President George W. Bush was responsible for one of the largest investments toward combating the problem of HIV/AIDS and tuberculosis through the United States Leadership Against HIV/AIDS, Tuberculosis, and Malaria Act of 2003. The U.S. government, through Bush’s initiatives and programs like PEPFAR, has invested over $25 billion to combat the problem of HIV/AIDS globally since 2003. As the U.S. Department of State detailed in its 2017 report17 on this program, more than 11 million AIDS-related deaths and nearly 16 million HIV infections have been averted worldwide since PEPFAR began. Moreover, PEPFAR is on track to meet the bold targets set by President Obama in 2015: by the end of 2017, 12.9 million people will be receiving treatment, 13 million voluntary medical male circumcisions will have been performed for HIV prevention, and there will be a 40 percent reduction in new HIV infections among adolescent girls and young women within the most-affected geographic areas of ten African countries. In addition to this, South Africa alone has seen PEPFAR invest over $5.6 billion in fighting HIV/AIDS and tuberculosis since 2004, through investment in government healthcare and non-government entity support.18 Moving forward, however, it will be important for African states to more fully develop their own healthcare systems and institutions. In South Africa, which has been the largest beneficiary of PEPFAR, the government needs to address five major shortfalls of PEPFAR to date, as documented by Matthew Kavanagh.19 This paper will focus on only three. First, what happens to the patients when they transition back to the South African public health system? PEPFAR does not know if transitioned patients are successfully receiving care, although available evidence suggests that a significant number of them may have fallen through the cracks as a result of the transition. Secondly, contractual provisions and arbitrary deadlines, rather than an evidence-based assessment of the readiness of the public health sector, too often drive the transition process. Thirdly, PEPFAR built remarkable human resource capacity, but at the very moment when scaling-up is urgently important, the South African AIDS response is losing human capacity, especially community health workers, due to the failure to develop a coordinated plan for this stage. In short, participating states have benefited from PEPFAR, as they have from AGOA. But for the most part they have failed to develop their own industries and institutions necessary to move beyond these initiatives. This is the key challenge today, and meeting it depends far more on the actions of regional leaders than it does on President Trump. That many scholars and political leaders show apprehension about the future of the continent clearly highlights two points. First, south African political elites have failed to create an economic development agenda capable of addressing the historical socioeconomic problems of the region.20 The lack of success with regards to operationalizing economic development has meant that South Africa remains open to the sways of U.S. presidents and Western NGOs, both of which are prone to advancing aggressive agendas that often are not consistent with African beliefs, practices, and circumstances. Secondly, the failure of SADC states to expedite economic regional integration21 leaves them susceptible to adverse policies from larger economies like the United States, the European Union, and Britain, and increasingly from rising Asian states like China and India. This paper’s call for regional economic integration is not one founded in political ideology, but one grounded in the need for the region to build its own economic base through industrialization, in order to avoid engaging with Western or Eastern States as second-class economic actors. First, South Africa needs to lead southern Africa’s industrialization by using the Industrial Development Corporation (IDC) and Development Bank of Southern Africa (DBSA) to fund selected businesses and sectors for a period of ten to fifteen years. The South African government has had the advantage of being able to draw on its industrial and manufacturing history and resources, but it has been poor at creating a model comparable to those of developed Asian states.22 In having these institutions pool their skills across the region of southern Africa, the South African government can help them to tap into developing technologies and invest in much needed innovations. Second, the air travel industry in southern Africa needs to be targeted as a government priority, in the same manner in which states like Qatar, the United Arab Emirates, and the Republic of Singapore operate. But in order for this to occur, South African Airways (SAA) needs to be professionalized and allowed to acquire or merge with the majority of southern African airlines. This could improve the poor aviation network on the continent, which is beset with numerous technical and business problems, and which is an impediment to further integration. While this may seem minor, those unfamiliar with the region should be aware of the fact that direct commercial flights between many cities in neighboring African countries are rather rare at present, for these reasons. Third, southern African states that have the ability and resources to invest in agriculture need to create a common fund and state-owned entity to modernize Africa’s agriculture and realize its agro-business and processing potential. It is important to note that, even in states like South Africa, food security is still a problem.23 By investing in agriculture through state interventions, the region can tap into its largest available resource without relying on Western institutions or worrying about changing political winds in the United States. The Trump administration represents a threat to existing policies like AGOA and PEPFAR. However, to limit the analysis of his presidency to the potential restructuring of these two policies is incorrect and short-sighted. Rather, it is important to view the present fear and clamor around this possibility as a sign of the failure of southern African political elites to create viable economic development paths for their countries and to ensure regional economic integration independent of Western guidance. Whether President Trump is successful or not in implementing his foreign policy is largely immaterial to Africa’s long-term future. The larger challenge is the lack of internal political and economic vision in all of the SADC states. Therefore, if one positive outcome might emerge from the Trump presidency, it is that African political elites might finally be forced to deliver economic development without the assistance of policies like AGOA and PEPFAR. See also, Klaus Larres, Donald Trump and America’s Grand Strategy: U.S. Foreign Policy toward Europe, Russia and China, (Global Policy, May 2017), 11, http://transatlanticrelations.org/wp-content/uploads/2017/05/Larres-Donald-Trump-and-America%E2%80%99s-Grand-Strategy-U.S.-foreign-policy-toward-Europe-Russia-and-China-Global-Policy-May-2017.pdf..
2 Rafia Zakaria, Hate and Incriminate: The US Election, Social Media, and American Muslims, (New York, New York: Tow Center for Digital Journalism, Columbia Journalism School, 2016), 6. See also, Robert McCain, Democrats have incited a climate of violent intolerance, (The American Spectator, 23 January 2017). 3 Darren Lilleker, Daniel Jackson, Einar Thorsen, and Anastasia Veneti, US Election Analysis 2016: Media, Voters and the Campaign. (Poole, United Kingdom: Centre for Politics and Media Research, Bournemouth University, 2016). 4 Sherle Schwenninger, Heather Hurlburt, Stephen Kinzer, and Juan Cole, When Donald Trump Says His Foreign Policy is ‘America First’—What Exactly Does He Mean?, (The Nation, 24 May 2016). 5 Mohammed Cherkaoui, Clinton versus Trump: Two-Distant Visions for America, (Mecca, Saudi Arabia: Al Jazeera Centre for Studies, 2016). 6 Donald Trump, An America First Economic Plan: Winning The Global Competition, (Speech to the Detroit Economic Club, 7 August 2017). 7 Control Risks, US Election Regional Implications. (London, United Kingdom: Control Risks, 2016). 8 Conor Gaffey, What We’ve Learned About Donald Trump’s Africa Policy, (Newsweek, January 16, 2017), http://europe.newsweek.com/donald-trump-president-elect-africa-policy-us-543298?rm=eu. 9 Niall Condon and Matthew Stern, The effectiveness of African Growth and Opportunity Act (AGOA) in increasing trade from Least Developed Countries: A systematic review, (London, United Kingdom: EPPI-Centre, 2011). 10 Witney Schneidman and Lewis Zenia, The African Growth and Opportunity Act (AGOA): Looking Back, Looking Forward, (Washington, D.C.: Brookings Institution, 2012). 11 Ambassador Michael B.G. Froman, 2016 Biennial Report on the Implementation of the African Growth and Opportunity Act, (Washington, D.C.: Office of the United States Trade Representative, 2016). 12 Witney Schneidman and Lewis Zenia, The African Growth and Opportunity Act (AGOA): Looking Back, Looking Forward, (Washington, D.C.: Brookings Institution, 2012). 13 Evans Chinembiri, The Impact of Africa Growth and Opportunity Act (AGOA) on the South African Automotive Sector, (17 September 2013, PowerPoint file). 14 Nikhil Treebhoohun and Ram Jutliah, European Report on Development 2015- Mauritius Country Illustration, (Oxford, United Kingdom: Oxford International Consultants (Mauritius) Ltd. 2014), https://ec.europa.eu/europeaid/sites/devco/files/erd5-country-illustration-mauritius-2015_en_0.pdf. 15 The World Bank Group, Mauritius: Systematic Country Diagnostic, (Washington, D.C.: The World Bank Group, 2015). 16 The World Bank Group, Mauritius: Systematic Country Diagnostic, (Washington, D.C.: The World Bank Group, 2015). 17 The United States Department of State, PEPFAR 2017 Annual Report to Congress, (Washington D.C.: U.S. Department of State, 2017). 18 Sane Dhlamini, S Africa’s budget for Pepfar 2017 approved to fight HIV/Aids, TB, (Polity,5 May 2017), http://www.polity.org.za/article/s-africas-budget-for-pepfar-2017-approved-to-fight-hivaids-tb-2017-05-05. 19 Matthew Kavanagh, The Politics of Transition and the Economics of HIV: AIDS and PEPFAR in South Africa, (Philadelphia, Pennsylvania: Health Global Access Project, 2014). 20 Vusi Gumede, Socio-Economic Transformation in Post-Apartheid South Africa: Progress and Challenges, (in The Future We Chose: Emerging Perspectives on the Centenary of the ANC, Ed. Busani Ngcaweni, 88-93. Pretoria, South Africa: Africa Institute of South Africa, 2012). See also, TK Pooe, The National Planning exercise of South Africa, that never was, (Regional Conference on Building Democratic Developmental States for Economic Transformation in Southern Africa, July 20-22, 2015, Pretoria, South Africa. Unpublished conference paper. Developmental States Conference, 2015. Print), http://www.developmentalstatesconference.com/wp-content/uploads/2015/07/27-TK-Pooe.pdf. 21 Rupa Ranganathan and Vivien Foster, The SADC’s Infrastructure: A Regional Perspective, (Washington, D.C.: The World Bank Group, 2011). 22 TK Pooe, Developmental State No Birth Right: South Africa’s Post-1994 Economic Development Story, (Law and Development Review, vol. 10 no. 2, 2017). 23 Kamal Abdu-Raheem and Steven Worth, Agricultural extension in the facilitation of biodiversity conservation in South Africa, (South African Journal of Agricultural Extension, vol. 40, no. 1, 2012). T. K. Pooe is a lecturer at North-West University’s School of Government (South Africa), focusing on local economic development and public policy. He has also served as a policy researcher in local and provincial government in South Africa and occasionally lectures at the Thabo Mbeki African Leadership Institution. France 2017: The Impossible Conservative Revolution?